Following the generous gift of all the original factory records held by the science museum we now hold the surviving records of a very large part of the once mighty British motorcycle industry. 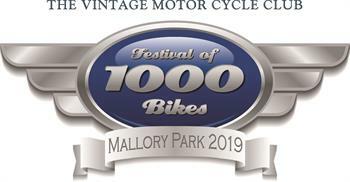 We hold Ariel, BSA, Douglas Vespa, Gilera (c 1971-4), Levis, Norton, Royal Enfield up to 1920, Scott, Triumph, Velocette pre RS frames and late Zenith. If you would like the full factory record, we will need a side view photograph of the machine and either rubbings or photographs of the engine and frame numbers. The cost is £37.50 (£25.00 if a member) typed on a certificate. You can pay by card, cheque, postal order (made payable to VMCC Ltd) or by PayPal.